You can use Hasura to setup event triggers which call configured webhooks whenever specific database events occur. Let’s create a sample event trigger with https://httpbin.org as our simple webhook. Enter trigger name as echo. Select table profile from the table dropdown. Select operations: insert, update and delete. Enter webhook URL as: https://httpbin.org/post. This sets up our webhook https://httpbin.org/post to receive database changes on insert, update and delete on profile table. Insert some sample data into the profile table using the Insert Row tab. Now navigate to the Events tab and click on the echo trigger in the left sidebar. 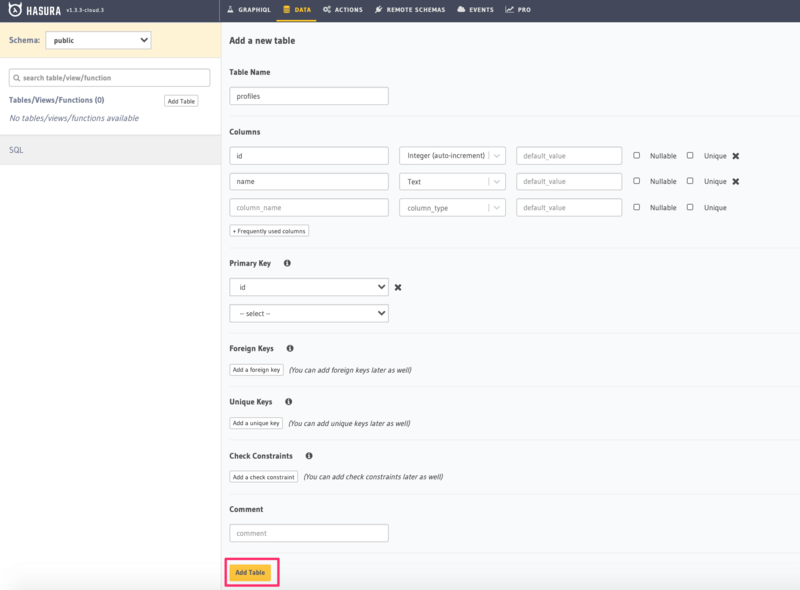 Expand the details of an event to see the response from the webhook.